Online poker is extremely popular in New Zealand thanks to online poker rooms rapidly expanding over the past decade. There are more New Zealand poker players competing in online poker than ever before as the convenience of playing poker on a mobile device, or from home, has encouraged new players to search for the best online poker experience in New Zealand. We at Top10pokerwebsites, therefore have narrowed down the selection of the top online poker sites for New Zealand players. We looked at a wide range of key factors, including bonuses and promotions, the software offered at each online poker site, loyalty programs, player traffic, security, customer support, and the variety of payment methods. 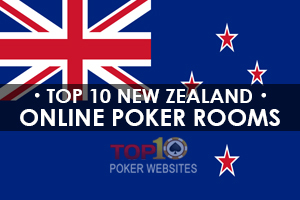 Only those that have the highest ranking in each of our key areas have made it onto our list of the top poker sites in New Zealand. Who Controls Online Gambling in New Zealand? Can New Zealanders Play Online Poker? 1. Can I play 24 Hours a Day? 2. What Other Games of Chance Can I Play? 3. Can I Win Bad Beat Jackpots? 4. Can I Play Multiple Poker Games Simultaneously? 5. Will I be Able to Play for Free? 6. 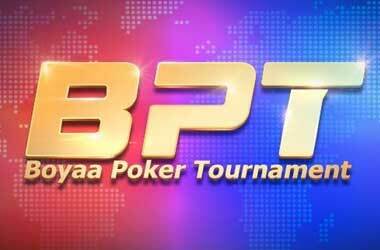 What Time are Poker tournaments Held? 7. Are New Zealand Dollar Currency Options Available? 8. 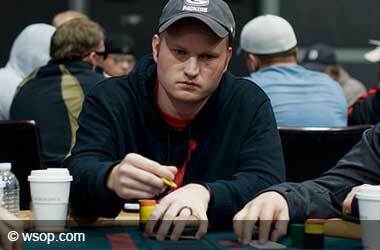 How much is a Suitable Bankroll? 9. What Deposit Options Can I Use? 10. What Happens I if Get Disconnected? Playing at an online poker site is perfectly legal in New Zealand, and players don’t generally have to pay any taxes on the winnings made at online poker rooms. However, there have been several reports of poker players that were required to pay taxes on their winnings as their playing status was determined as being professional. Due to online poker being their primary source of income, they had to pay taxes on their winnings. If you are concerned that this might apply to you, it’s best to first check with a tax consultant. Online poker rooms are legally allowed to offer their services to players and operate in New Zealand. All public gambling operations are also expected to return a percentage of their profits to the community. The 2003 Gambling Act made it illegal for any operation, other than the New Zealand Lottery Commission and the TAB, to run remote interactive gambling in the country. In addition, the 2003 Gambling Act relates only to providers. It is not considered illegal for a player from New Zealand to gamble online with an overseas online poker room, but it’s worth mentioning that should any part of the gambling be conducted in the country, it can be prohibited by the 2003 Gambling Act and will be considered illegal gambling. All gaming is licensed and controlled by the Department of Internal Affairs, maintaining strict guidelines for each of the allowed classes of gambling. If you operate outside of these guidelines, it will be prohibited. The classes of gambling are determined by the methods and the prize values of gaming. Class 1 gambling: Restricted from turnover or a prize value greater than $500. All gambling proceeds, including interest, must be applied to the winners if it’s conducted by an individual. Class 1 gambling is the only class that can be conducted by an individual. Class 2 gambling: Required to have a prize value of between $500 and $5,000. The potential gambling turnover must exceed $500 but shouldn’t exceed $25,000. Class 2 gambling operations do not require a license, but it has to be conducted by societies as stipulated in the Gambling Act. Class 3 gambling: Required to have a prize value that exceeds $5,000. Class 4 gambling is normally referred to gambling that uses gaming machines. It is forbidden for both class 3 and class 4 gambling to be conducted without having a license. The residents of New Zealand are allowed to play at any online poker site based in any country and will have a wide selection of the top online poker sites in the world. Before the New Zealand government passed the Gambling Act of 2003, most of the existing gambling laws only dealt with traditional gambling activities such as casino games, lotteries, and horse racing, but the laws did not specifically address remote or online gaming. A New Zealand based organisation that offered its services to New Zealand players would have been breaking the law unless it was part of the New Zealand racing board or TAB. Online gambling companies situated outside the borders of New Zealand that attracted players from within New Zealand was never addressed directly. During that time, gaming in the country of New Zealand was governed by three statutes, including the Racing Act of 1971, the Casino Control Act of 1990, and the Gaming and Lotteries Act of 1977. The common theme for these three statutes was any gaming not contributing community benefit was banned. Due to telephone, interactive, and online gaming not being addressed, anytime a player participated in any of these activities, they would have been breaking the law. The player would either have been punished with a hefty fine of $500 or even imprisonment. Operating a business that provided advice on how and where to place a bet could lead to facing prosecution. When online poker established itself and gained popularity in the online gaming industry, the government of New Zealand published the New Zealand Gaming Reform towards the legislative framework. This paper reviewed consequences and interest of gaming. It primarily focused on the effect of gambling in the society. The administrators and authors understood the nature of the World Wide Web and how unlikely it would be to control players in New Zealand from participating in gaming through online gambling establishments situated overseas. Cost and privacy issues could be quite excessive, and therefore a policy had to be created. If the options in New Zealand were simply too strict, interested poker players would be encouraged to search for entertainment outside the borders of New Zealand and the financial contributions given back to the public would suffer significantly. The 2003 Gambling Act addressed the legal standing of online gambling overseas. The Gambling Amendment No.2 was passed by the Parliament of New Zealand after it was introduced in 2007. The main objective of this amendment was merely to reinforce the current 2003 Gambling Act and introduce additional accountability to operators and owners of non-casino games and other gaming machines, as well as gambling establishments. There were several rounds of revisions that created a document to resolve the weak points in the former legislation. It ensured that all licensed providers would be responsible for adhering to the rules and maintain clear records of their compliance and performance with the laws. The New Zealand Minister of Affairs, Peter Dunne, stated that the amendments will help to ensure operators form part of a well-run, and clean, sector. It was also stated that operators would be held accountable if they lost sight of the community focus. The Gambling Act contains several helpful measures to ensure the minimisation and harm prevention of the Bill works well, and it will reinforce the responsibilities of casino operators and gaming machines owned to their customers. Within the borders of New Zealand, several regulatory organisations are monitoring gambling, both offline and online. These agencies include the Department of Internal Affairs who is responsible for the administration of gambling legislation, the Gambling Commission who is responsible for renewing and issuing licenses to all casino operators, and the Ministry of Health who is responsible for the prevention of problem gambling and the protection of those afflicted. It’s worth mentioning that none of these agencies can cover you for online gambling expect the Ministry of Health perhaps, who you can always contact if needed. Playing at an online poker room, one that is situated outside the borders of New Zealand means that if any unfair, fraud practices or perhaps any other issues occur, a player will be subject to the legal system of the hosted country, and not the laws of New Zealand. However, this doesn’t mean that players will be without any protection. All online poker sites that we recommend on our site are accredited by the gambling authorities of their individual countries, and the required certification and documentation can be found on each online poker site. In addition, every online poker site listed at Top10pokerwebsites are independently audited on a regular basis by third-party agencies, certifying the online poker room regarding security of its operations, the fairness of its games, and the transparency of the financial dealings with every player. Several agencies certify our online poker rooms to ensure they comply with the relevant regulatory requirements, ensuring you a fun and entertaining poker experience in a safe and secure online environment. Please do spend some time reading through this final section of or New Zealand poker players guide, for below we have listed all of the most commonly asked questions that both first time and inexperienced online poker players will have in regards to playing poker online. All of the questions listed below are answered underneath each question in full detail, however keep in mind we also have lots of poker site reviews which will also enlighten you on what each individual poker set is also going to be offering you,, so do checkout some of those poker guides too! There will certainly be no times when you are not going to be able to play poker online, or even at one of our top rated New Zealand player friendly mobile poker sites as they are all open morning, noon and night and as such whenever and now wherever you get the urge to play you will find you can log in and take on as many fellow players are you like, so make sure you do get actively involved as there are some mega sized pots up for grabs! New Zealand based players who sign up to any of our top rated poker sites are going to discover that they are not only going to be able to play poker game variants and also enter online and mobile poker tournaments at those sites for all of them also have available a range of different poker side games too. If you ever fancy playing video poker games or even pokies for example alongside your chosen poker games or poker tournaments or any other type of casino based games those games will also be available, so you can have plenty of additional gambling opportunities at each of our selected New Zealand player friend online and mobile poker sets too! You could walk off with a small or even huge fortune when playing poker online thanks to a range of bad beat jackpots that some of our approved poker sites have attached to their poker games, and as such when playing those particular poker games if you are dealt out a certain hand and it is beaten by a higher valued hand then the progressive jackpot is shared out between the lower and winner of those games and also in some cases all of the other players than have paid into the pot on those hands and games too! As you will have the ability of opening up lots of different poker tables in different window when playing at our listed and showcased poker sites then you will of course be able to play as many poker tables as you wish o play all at the same time! Free play poker tables are always open and available to players at any of our showcased New Zealand player friendly online poker sites and with that in mind if you have come across in our poker site reviews a range of poker game that you may never have played before but wish to sample them out in a free play environment then you can freely do so at those sites via their free play poker tables for as long as you like! New Zealand based online and mobile poker players do have a huge range of different poker tournaments that they can take part in and enter, both mobile and online New Zealand player friendly poker sites have plenty of tournaments up and running throughout the day and night. 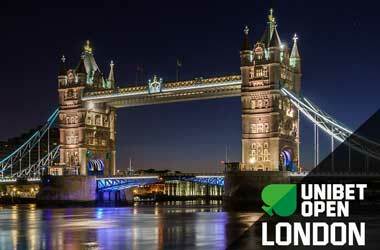 If you are living in New Zealand and want to find out just when any poker sites poker tournaments are up and running then visit the poker sites websites and take a good look through the poker tournament schedule as that will enlighten you on how every poker tournament has been structured and designed and when it will be going live too. There are going to be more than enough online poker sites that you can sign up to as a real money player, and by sticking to playing at our featured and top rated online poker sites you are going to be able to make deposits into your account suing New Zealand Dollars and also play in that currency as well as being able to make rapid withdrawals from your online poker sites account using NZD too! It will be up to you in regards to just how much you have available in your poker site account as your available bankroll, keep in mind there are some very, very low limit poker game variants on offer as well as some very high and even no limit games also on offer, so both low stake and high stake players with any amount of cash in their bankrolls will find enough games to suit their own individual bankrolls! You are going to be able to make a deposit into any online poker sites using quite a large and very varied range of banking options if you do live and reside in New Zealand. Many players tend to use their credit cards of their debit cards to find their poker site accounts as those deposits they make using those types of cards are quick and easy to use. However, as a player you can also use bank wires, bank transfers of any of the many different types of e-wallets and web wallets too. If you choose to play at an online or even one of our top rated New Zealand player friendly mobile poker site sand for one reason or another you get disconnected from the game you are playing or then you hand will be played off as per the rules in place at the poker site you have chosen to play at, so always familiarize yourself with those game play rules!